Why Hire a Motorhome from Camperco to Explore Remote Beauty Spots in South Island? While holidaying in New Zealand, you have options to see many beauty spots and special sites. Some of these special sites are located near cities, whereas others are located far away from civilization. Also, New Zealand is also not a huge country, along with being sparsely populated. The public transportation in New Zealand is good only within cities and towns. So you cannot rely on public transportation to explore these remote beauty spots by covering long distances. On the other hand, a motorhome will enable you to explore New Zealand at your own pace and convenience. The campervan will make you feel like knowing the country really by exploring these special sites. Also, you can hire comfortable, well-designed and fully-equipped campervans provided by Camerco to cover longer distances in a comfortable and hassle free way. Despite being a South Island based campervan rental company, Camperco allows you to hire campervan to explore Nelson, Christchurch, Picton and Queenstown. Camperco further offers several facilities to make your trip more safe and hassle-free. As the campervan rental South Island company provides free roadside assistance 24 hours a day, you can simply make a phone call to avail the assistance required to handle emergency situations. The 24 hours roadside assistance will further make it easier for you to visit some of the special sites located far away from civilization. 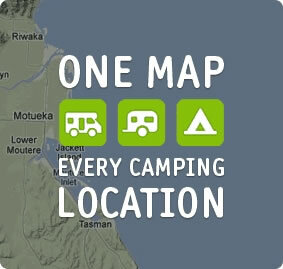 Camperco further allow you to pick the pickup and drop off locations according to your holiday plan. So you can simply drive the campervan to explore these remote beauty spots and drop it off at another location within the predefined period of time. The fully-equipped campervans provided by Camperco also includes shower and toilet. So you can always enjoy freedom camping without incurring campsite expenses. The company further provides you with detailed maps and guidebooks to explore the remote sites without any hassle.